2016 Ducati 1299 Panigale S. Picture credits - Ducati. Submit more pictures. The new Superquadro engine is ingeniously incorporated into the Monoscocca chassis, providing the perfect platform from which to deliver its incredible 205 horsepower. The underside of the fuel tank, when mounted, seals the top of the frame which then becomes the airbox. Innovative engineering solutions such as these are used throughout the Panigale line, and take the dry weight of the 1299 Panigale/S down to 166.5 kg while the Panigale R sits at an incredible 162 kg. Ask questions Join the 16 Ducati 1299 Panigale S discussion group or the general Ducati discussion group. Bikez has reestablished Bikez.info motorcycle web shop overview. Here we present the major online shopping possibilities for motorcycle parts, gear and accessories. This includes customizing and insurance. Search and compare products and prices. 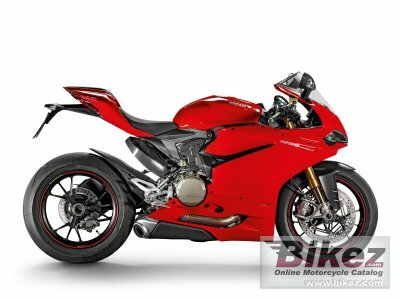 Try our 2016 Ducati 1299 Panigale S discussion forum if you have questions or comments. Information about any technical issue is always welcome.